My Poppy paintings seem to have struck a cord. Sold this one entitled ' Red Haze ' this week. My Generation. Black Sabbath top charts. Oh Dear! They should be dead but you have to hand it to ' My Generation ' they are still very much around! Who would have believed it? What's going on? Black Sabbath top after 30 years. The Rolling Stones headlining Glastonbury! Definitely not ' Fading Away ' Keith Richards may have fallen out of a coconut tree but how many men of his age would even be able to climb one, especially after his determined rebuttal of a healthy life style! Anybody a Ray Davis fan? Check out his last few releases, still the master of ironic social comment. Not sure if I will be buying Black Sabbath's latest as I was never a big fan. I prefered Deep Purple, Uriah Heep and other heavies. Hats of to these Gerry Active heroes and I shall continue to shuffle to the Rolling Stones. This Ginger Cat is contemplating a busy and exciting night ahead. The painting is on stretched canvas and measures 12" x !2" ( 30cm x 30cm )You can buy this on ebay if you like it. On Saturdays I sometimes go to The Northern Lights Sangha for meditation. One of the meditation sessions is walking meditation in the very lovely original garden at The Findhorn Foundation. I love this slow walking while observing closely the wonderful flowers and birds. There is so much change week to week. A reminder that nothing is permanent and today's intensely yellow flowers will be fading next week only to be replaced by another beautiful colour. This week my mind went back 20 years or so to when I walked slowly with a dear friend through gorgeous parkland. Recovering from an operation my friend could only walk slowly with many pauses. Without realising it I was doing a walking meditation for the first time. The intensity of that day was such that I wrote a poem about it. The poem was called. Slowly, slowly we walk. Time to absorb. First past the old Chestnut trees. Pausing we wonder. The white fountain of flowers are examined as never before. Huge with delicate subdivisions topped by red stamens. Beautiful. Glowing against the backdrop of green leaves. We observe the lushness and exceptional greenness of late spring, the result of heavy winter rain. More Poppies. This time in water colour. 40cm x 30cm. I was working on this one simultaneously with the large canvas poppy painting. Both very different. I think I prefer the watercolour to the big acrylic although that one is not finished yet. This is my painting ( unfinished ) inspired by the lovely poppies in Cluny Garden at The Findhorn Foundation, Scotland. I need to sit with this for a while before finishing. It is on a big canvas 90cm x 60cm ( 3' x 2' ) and is all acrylic. These beautiful flowers glow with spirit. They are in Cluny Garden, Findhorn Foundation, where I work on Tuesdays. I know everybody takes photos of and paints Poppies but I feel I want to paint them too. It will be my next painting after I finish my current work, Two Kittens at Play. ﻿A few days ago I planted some Birch Trees outside my flat where I have my studio. They were looking rather sad having been dug up from a local wood and it is not the best time of year to transplant trees. 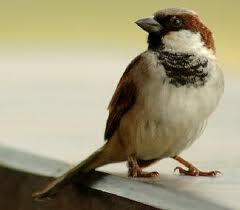 As mentioned in a previous blog I have a little Sparrow who sits on the gutter in the same place every day. I call this cheerful little bird my Guru because he reminds me to be happy and positive as he chirps away and looks down at me. Yesterday he flew down and inspected my wilting trees, first one then the other. Today my trees were not wilting and are looking healthy. This means my trees have been blessed and accepted by my Guru. This painting was inspired by an unexpected sight. I came across this in the middle of the countryside in the Czech Republic. For no obvious reason a large wooden cross had been erected and an image of Christ fixed to it.It was made out of sheet metal and hand painted! The background was rolling green country but the striking image in my painting was painted over one of my semi abstract water colour backgrounds. The size is 40cm x 30cm and is for sale. AMOGHASIDDHI the Buddha of the North is perhaps the most mysterious and ungraspable of all the Buddha figures. Power and energy are his attributes but his activity is subtle and hidden. For some reason I am very drawn to this Buddha and this is my second painting of him. The first was not very good but this one, although far from perfect, is better. The painting is 40cm x 30cm and is for sale. It will come mounted, framed and ready to hang. If interested please contact me.